Reliable information reaching Biafra writers desk has it that the life of Nnamdi Kanu, the leader of the Indigenous People of Biafra is at stake now!!! 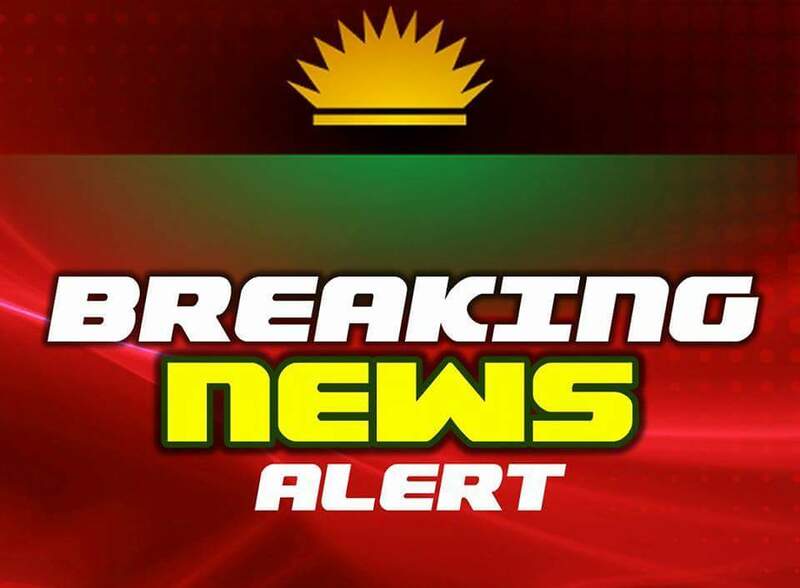 In a telephone conversation with an inside source who happens to be an army officer, it was disclosed that the blood thirsty dictator in chief of the islamic republic of Nigeria, Muhammadu Buhari after an emergency meeting with the Northern elders today, in agreement with governor Rochas Okorocha, Willie Obiano and other saboteurs in Biafra land has given an express order for Nnamdi Kanu to be eliminated between tonight and 7am tomorrow morning, alongside the other Biafrans in various prisons. They also demanded for the head of the deputy senate president who they consider a sympathizer of IPOB, Ike Ekweremadu, governor Nyesom Wike and Asari Dokubo as well. They vowed that they are ready to declare war upon Biafrans if it worse comes to worst. Our source is highly perturbed and out of deep concern for humanity is urging Biafrans all over the world to sound the alarm, and call in on Radio Biafra broadcast tonight to notify the world of Buhari’s evil intention towards Biafrans. IPOB's peacful nature should not be mistaken for cowardice, simply because we chose to be human. We are calling on Amnesty International, United Nations, Human Rights watch and other human right groups to warn Buhari not to touch a strand of their hair or else everything in Nigeria dies with immediate effect!!! It then means that buhari and his cohorts are tired of living. Igbo should stop writing letters to ECOWAS, UK,AMERICA and others rather they should go and stock pile ammunutions like Niger |Delta. Talking can no longer solve anything. They have tried you by killing Enugu as sample for your actions, and have concluded that you are dead people and empty barrels. When you cannot deal with ordinary herdsmen you are planning hell with Army. Think and act fast. Start dealing with saboteurs in your land time is running out. The love of money is killing you IBOS. Why on Earth should your Governors be part of this heinous crime. War is not the answer but dialogue.